The court date for this was originally August 14. After missing that date, it was pushed to the 27. Then, instead of appearing at his court date, he announced a tour. Another new date was then set, September 11. After sending his lawyer to today’s appearance, a new date was set. Radke‘s case was the first called this morning. His attorney asked to approach bench. There she spoke privately with the district attorney and judge. It was then that the judge announced that the pre-trial would be pushed back, yet again, for 8:30 on November 14. This is the same day as the Los Angeles date of the Thug In Me Is You Tour that he is on. The unfortunate fact about this case is that the defendant is allowed to ask for postponement as many times as they wish and it will be granted until the judge declares that it can’t. All the Plaintiff (Sally Watts, in this case) can do is have her lawyer object to each one. This is only the pre-trial after all. After Ronnie decides to show up to one of them, the jury date will be set and the trial will continue. The case is not between Ronnie’s girlfriend (Sally Watts) and himself. 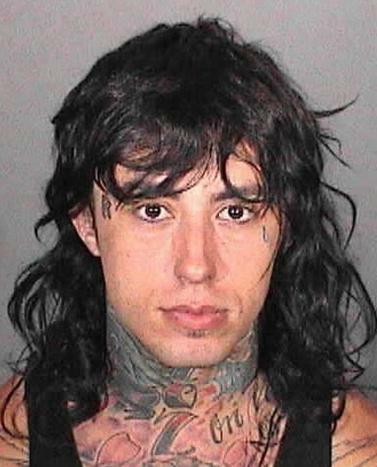 This is a criminal court case between Radke and the State of California. If Sally is present, it is as a witness. Ronnie is not required to attend the pretrial as the intention of the court date is to examine evidence, and present the case. If Ronnie pleads not guilty the trial will stand before a jury. We are still waiting for a response from Epitaph Records and Fly South Management regarding a statement of any kind. November 14 is Atlanta’s show.